Maybe you're looking for something easy to make for the weekend campout, or perhaps you just remembered your family potluck is in 30 minutes and you forgot to make a dish. 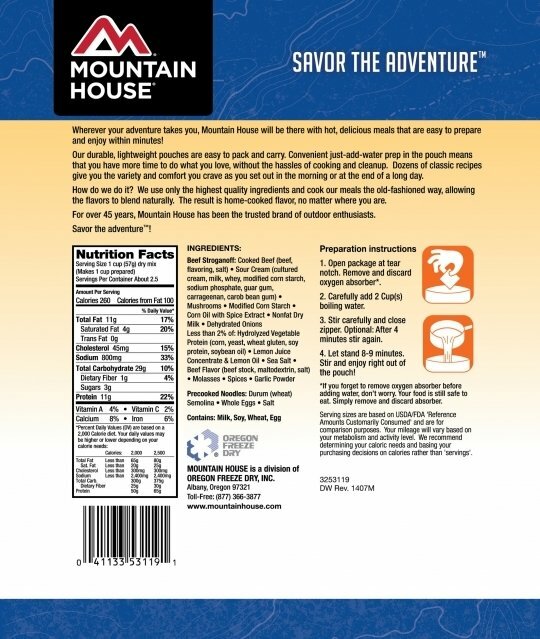 With Mountain House Beef Stroganoff, you can whip up a delicious home cooked meal in a flash - no crazy prep work required. 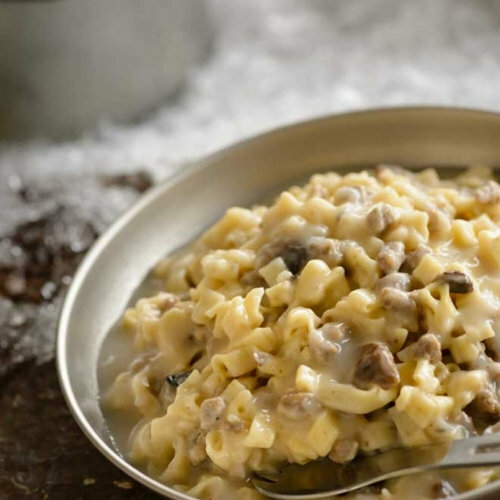 Tender pieces of beef, tasty onions and mushrooms blended in a savory cream sauce over a bed of egg noodles ... with a dish this satisfying, you'll never guess that it's freeze dried. 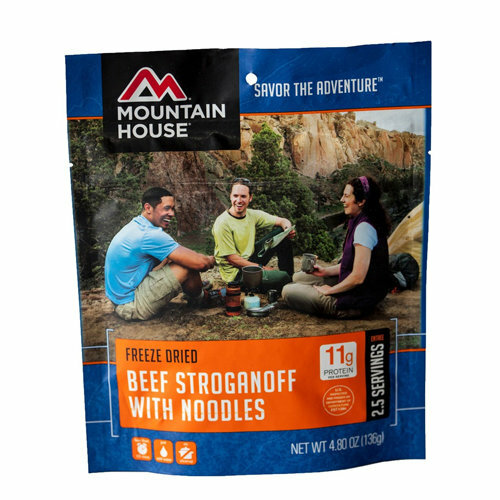 Pouch: The perfect size of freeze dried beef stroganoff for those weekend car camping trips. While everyone is nibbling away at their sad PB&Js, you'll be helping yourself to a comforting helping of home cooked goodness.